Image: Reeding Lessons. 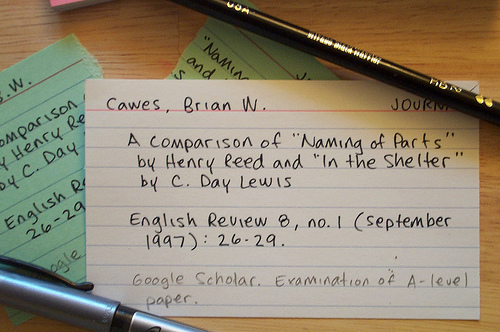 Index Card, 2007. Flickr Creative Commons. Retrieved 30 August 2010.